Major Waterfront Development & Marina, Crystal Coast,NC-SOLD! 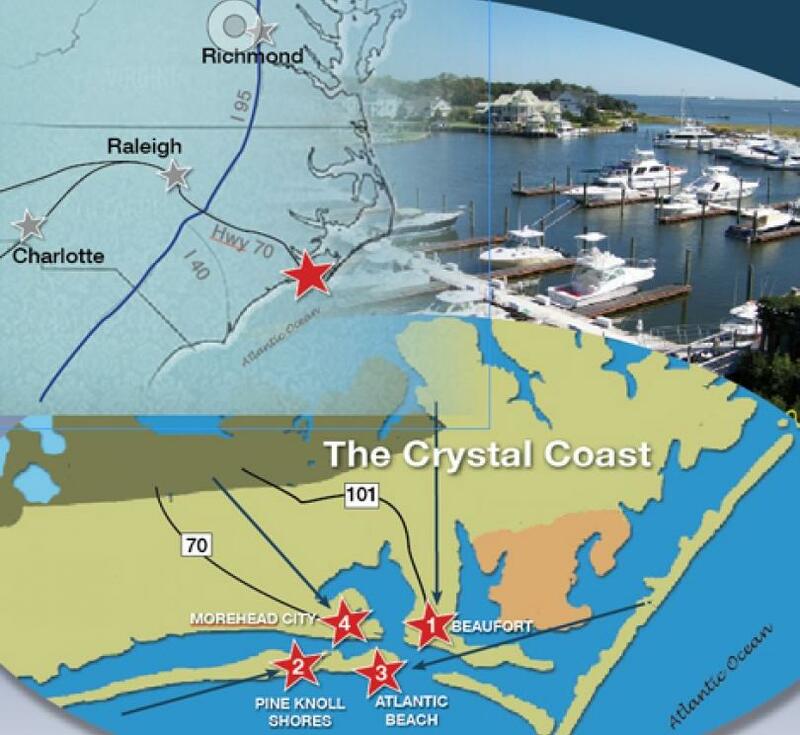 Situated ideally on the US Highway 70 causeway between Morehead City and Beaufort, Radio Island sits very close to the Beaufort Inlet and is home to some of the most desirable Crystal Coast communities and marinas. This is an exceptional opportunity with new bulkhead in place and marina excavated. The property is located between existing resort communities overlooking the Beaufort Inlet which provides direct access to the ICW and Atlantic Ocean. Located on Route 58 in Pine Knoll Shores, this parcel has 500’ of frontage along the Atlantic Ocean in Carteret County. This property is close to the Crystal Coast Country Club and all of the area attractions, shopping and dinning making it a rare opportunity to build a beach front estate or resort opportunity. This is a rare opportunity property in the heart of The Crystal Coast. Don’t miss this chance to own pristine oceanfront property! Located on Route 58 in Atlantic Beach, this prime development parcel has 500’of frontage along Route 58 with Ocean views in Carteret County. This property is close to the Crystal Coast Country Club and several national flagged hotels making it a prime development opportunity. Zoning allows for both commercial and multifamily development. Develop this prime resort property today. This is a rare opportunity to seize! Tie up Your Boat on Spooner’s Creek with direct access to the ICW. This is a prime opportunity to tie up at high end marina along the Crystal Coast with convenient access to the famous Gulf Stream fishing grounds. State-of the-Art facilities with floating docks and slips from 30’ to 70’ on the best protected harbor on the ICW. Don’t miss this chance!